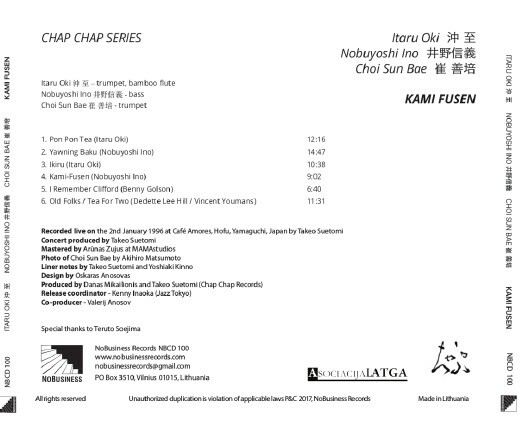 This is the live recording of the 2nd event from the annual duo series by Sabu Toyozumi, one of the world well-known Japanese drummer / percussionist / erhu-player, for whom I had promoted in my hometown Tokoname since 1998. 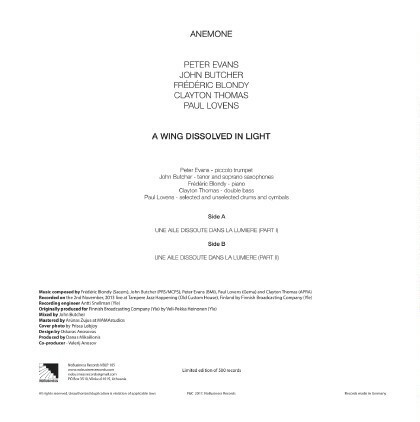 It is literally a pleasant surprise to me that the recording originally secured as a document of the event is released to the public all over the world, even if their performances are exceptionally overwhelming. 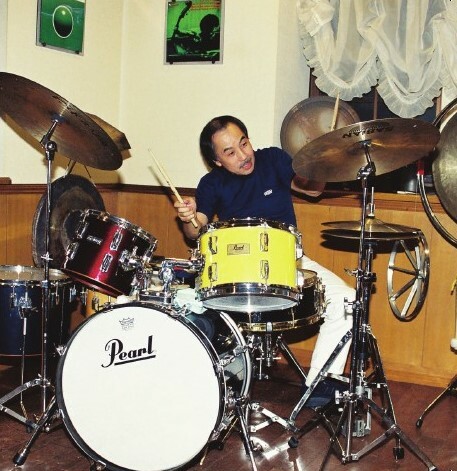 The reason why I as a local jazz fan had started promoting jazz live will be disclosed later, but my encounter with Sabu Toyozumi went back to 1998 when I brought myself to the music event held at a gallery & café in my town. Sabu collaborated with two local musicians, shakuhachi player and percussionist, and Phil Minton, voice, but it seemed this quartet did not work well probably due to the lack of communication among musicians. Since my preceding experiences of Sabu’s performances taught me his excellence, I told him of my plan of holding his small gig for a small number of audiences in my town once a year giving him freedom of choice of musicians. He willingly accepted my humble proposal. 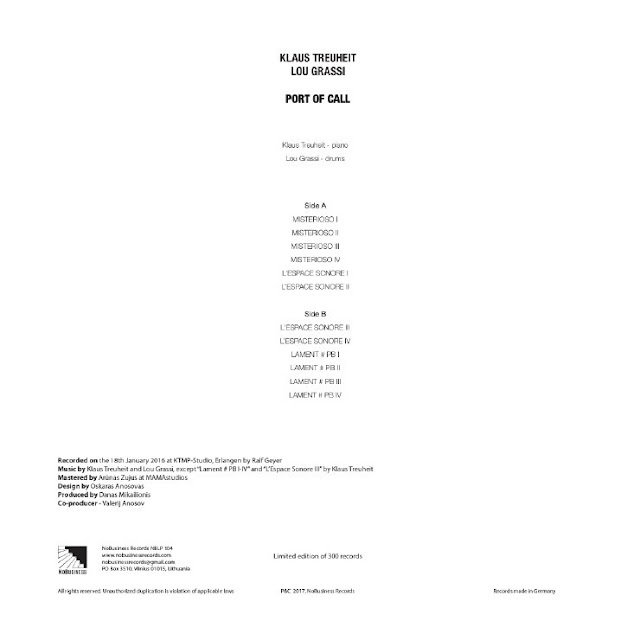 In the meanwhile I got a call from him asking me if I could accept his duet with Peter Brötzmann on October 18th. Oops! 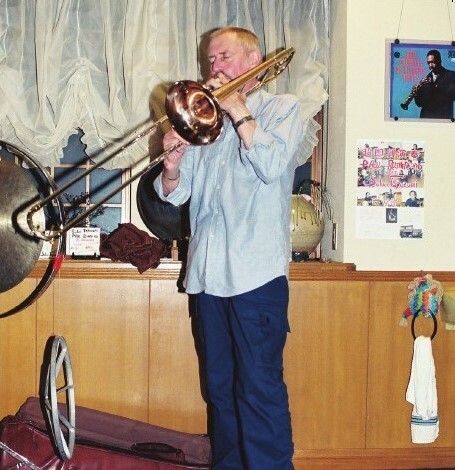 That “Hercules of jazz”, a giant of free jazz, is coming to my town, Tokoname!? Of course I could find no reason to say no, at all. Thus, my serial duo event with Sabu started. 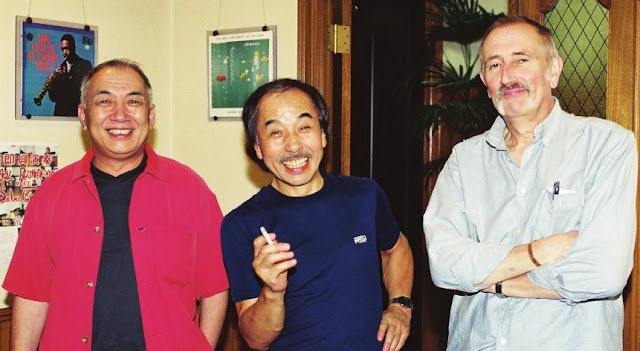 “Super Improvising Performance : Peter Brötzmann meets Sabu Toyozumi in Tokoname” October 18th, 1998 at Café-terrace Jumbo. I started preparation. Venue Jumbo is the one where I have ever held duet between Toshinori Kondo and Eugene Chadbourne back in 1980 and the owner was willing me to book them this time, too, handling the party with foods and drinks after the show. 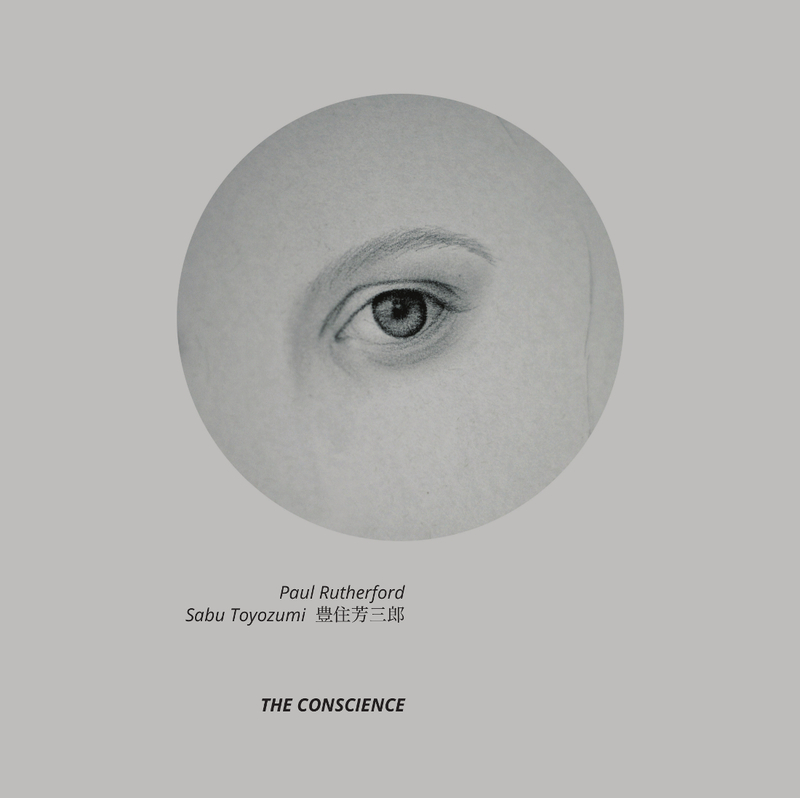 I managed to originate the artwork for the flyer by cutting and pasting several pieces. With self-made flyers I visited cafes and friends asking for coming to the show. It was pretty hard for me to get through in get audiences in this town with less jazz fans, I could manage to draw more or less 30 people this time too, who were company colleagues, ceramic artists (Tokoname is well-known for ceramics studio), artists, friends who love jazz and families from the venue… Bandstand was set up myself with help from friends. Performance started with no rehearsal at all. 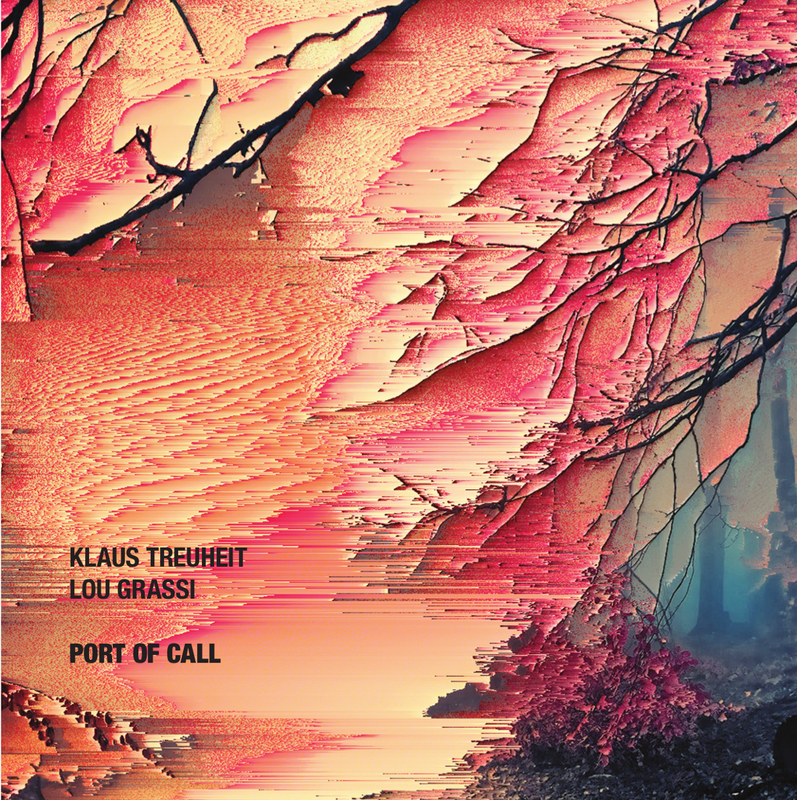 One biggest roar of Bro’s sax bounced the wooden ceiling of the venue and frightened the family upstairs who felt the earthquake hit the town, bringing them downstairs with scared faces which tickled us. Against Bro’s roaring sax, Sabu played all the percussion with every possible technique he mastered. After the show, all of us spent a peaceful time after the heavy storm. Next year, in 1999, Sabu called me up to study if I could accept the duet with Paul Rutherford. Of course, I agreed to his idea instantly showing keen interest in this trombonist who represents European improvising music scene. 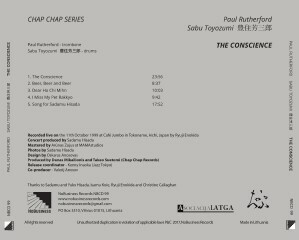 “Super Improvising Performance:Paul Rutherford meets Sabu Toyozumi in Tokoname” October 11, 1999 at Café-terrace Jumbo. Just like last event, I started preparation at once. Next year’s event was - “Super Improvising Performance:Joseph Jarman meets Sabu Toyozumi in Tokoname” July 9, 2000 at Café-terrace Jumbo. Next year, in 2001, I had a severe attack of sickness, which disabled me to continue the annual event with Sabu since then due to the lack of both physical power and mental toughness as well. 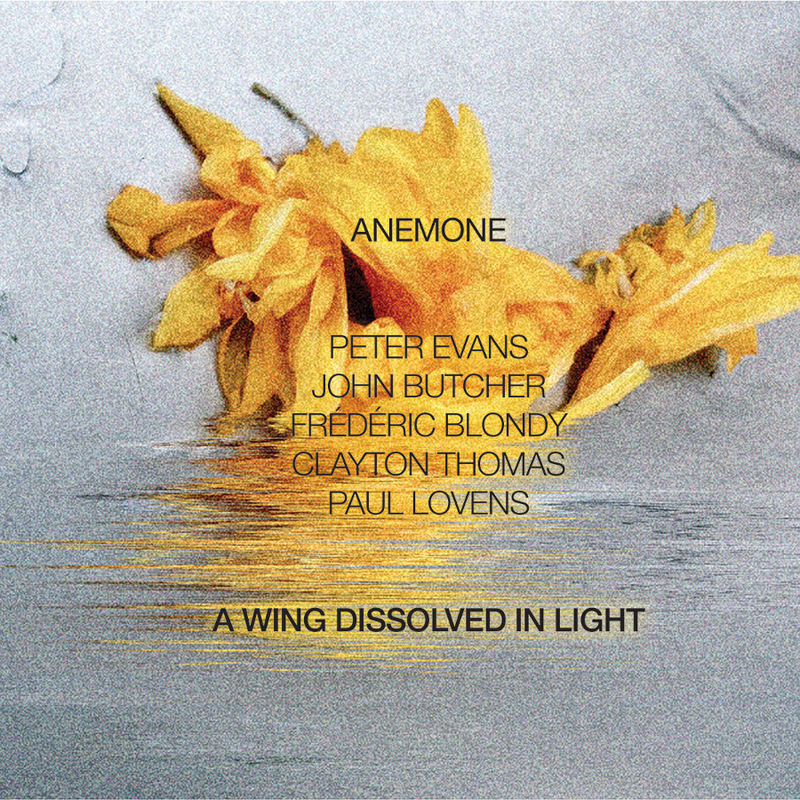 I will try to sum up results from my experiences of jazz lives I promoted in my home town of Tokoname - We could enjoy wonderful performances by leading jazz musicians in the world. It was pretty hard to draw enough audiences in my home tow with less jazz fans. They were more or less 30 crowds consisted of friends, authors, company colleagues, families, jazz fans and so on. My real intention was to encourage those artists who are engaged in ceramics, glasses, sculpture, art, photography, etc, etc in our town through personal experiences of serious challenging performances by world’s leading musicians. I will never forget young kids from preschool to elementary school to keep listening to that Bro’s roaring sax performance until last. Deciding to promote jazz live myself I thought I should deal with free jazz and improvising music since they could be enjoyed only live which I studied through my personal experiences since 1974. As the venue I did think no other place than Jumbo since I am so close to its owner for whom I used to be a regular customer for almost 30 years since 1970. Moreover I used to help him manage the café for 15 years or so since 1975. In return he helped me to promote events by charging me nothing for both venue and after hours party. The income coming exclusively from tickets sale could cover half of expenses of mostly musicians’ fee and hotel rooms. 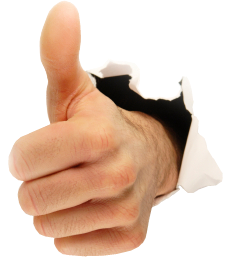 Other half of expenses was paid from my pocket, which was actually compensated by bonuses paid by my employer half-yearly. Finally, I would like to refer to my personal history in short - I was born in Tokoname, Aichi, in 1945 and still live there. In 1961 when I was 15 years old I was so much fascinated by the sophisticated feelings created by jazz seeing the documentary film Jazz on a Summer’s Day. In 1962 my elder brother took me to the spiritual concert by Golden Gate Quartet which was my very first one in my life, followed by the one by Carmen Cavallero. In 1963 I went by myself to the concert by Art Blakey & Jazz Messngers, which knocked me out deeply hooking me on modern jazz. Since then I never missed any of American jazz concerts held one after another in the boom; Sonny Rollins, Thelonious Monk, Cannonball Adderley, Roland Kirk, Max Roach, Oscar Peterson, Stan Getz, Duke Ellington, Hellen Merrill, Sarah Vaughn, John Coltrane, etc, etc. 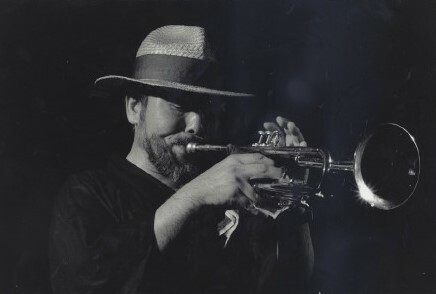 Itaru Oki, born in Kobe in 1941, leading Japanese jazz scene as one of the most innovative trumpeter, boldly moved to Paris in 1974, leaving the past career including even local popularity behind. 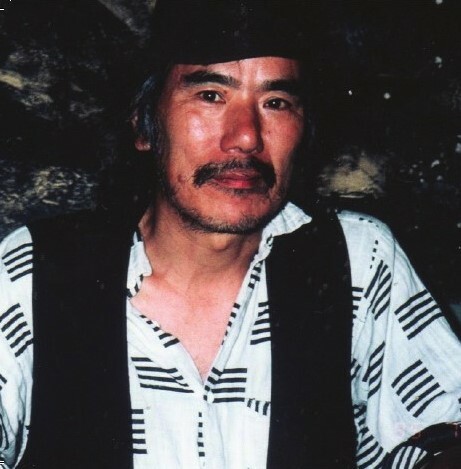 As one of his occasional homeland tours, he did a tour with Nobuyoshi Ino, bassist from the following generation. 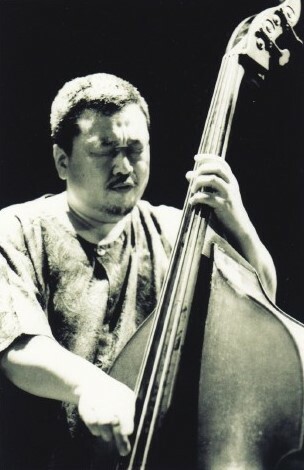 Ino, born in Kiryu in 1950, made a professional debut as early as in 1971, has been counted as one of the leading bassists with a longer career including performances with the most prominent local jazz musicians such as Masayuki Takayanagi, Kazumi Watanabe, Masahiko Satoh, Masabumi Kikuchi and so on. Right after their gig at my club Café Amores was confirmed, I called up Choi Sun Bae, a Korean trumpeter known also as a member of the Kang Tae Hwan trio. There was no reason for him to decline my offer since Oki is one of his most respectable trumpeters and also Ino is one of his closest musical friends who had ever played together with in Korea, which I knew. is which. It is Choi who hits high notes with rather noisy sound. 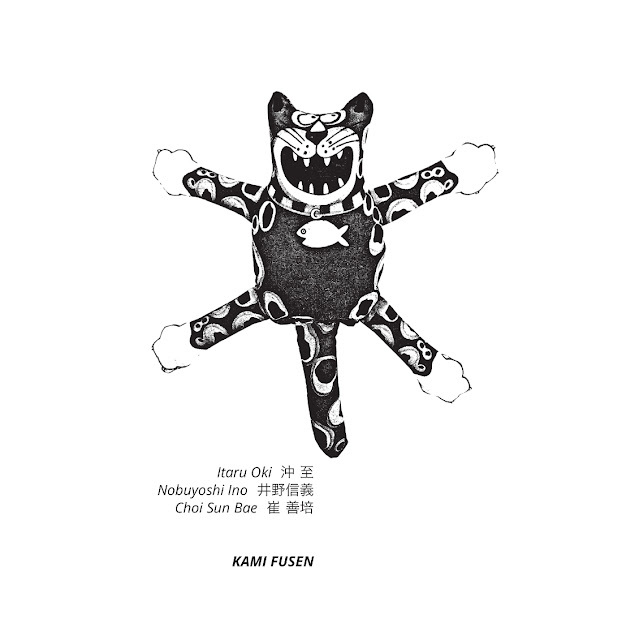 Paper balloon (Kami-fusen), a title tune and Yawning Baku are Ino’s master pieces both of which he played with Lester Bowie together for their album “DUET” recorded in Tokyo in 1985. Lester loves Paper Balloon much enough to play with Abdulah Ibrahim at the Moers New Jazz Festival. In some occasions Oki and Choi go far away but they also love to play beautiful melodies. It is pretty interesting to know the fact that both of them have ever recorded an album with strings.